Finding an experienced professional to provide reliable and affordable lawn care services is easy when you call Vista Turf. To speak with one of our lawn care or pest control specialists, call 817-307-0583 today. Luke Stice founded Vista Turf Lawn & Pest in 2008 with the vision of providing dependable, consistent, quality lawn service to the south DFW metroplex. 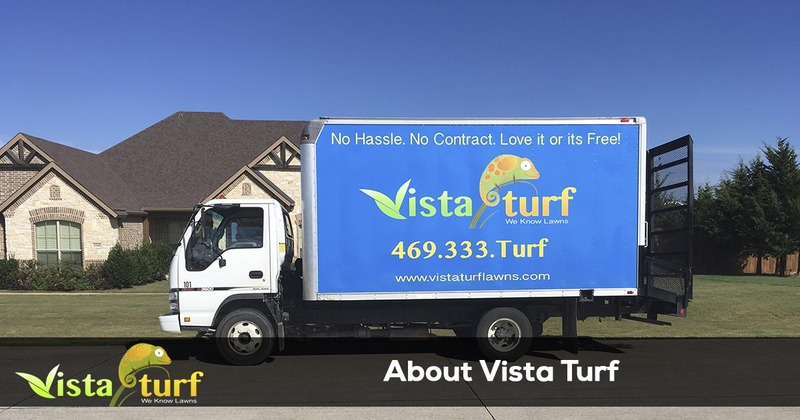 Vista Turf Lawn & Pest has since established a reputation of being a lawn service that goes above and beyond the expectations of our customers. Whether it is commercial or residential, we want our customers to have the peace of mind that they will never have to search for a lawn service again, and we do this by constantly letting them know that we truly do care! We are a team of individuals that live in the community. That means we understand the turf, tree, shrub and insect issues in this area. We know the unique problems and challenges in the Dallas area and more importantly we know how to fix them. As the owner, I am personally involved in the day-to-day activities of the company. I work directly with our team and with clients like you. I, along with our team, are here to help. I grew up in Texas, and I became an entrepreneur at a young age. I formed a lawn care business, and our company is growing due to happy customer referrals and quality work. I am a normal guy trying to do business the right way…following through on what I, and my company, say we will do. We are all about the customer coming first. We strive to have excellent customer service with affordable prices. The best way to learn about Vista Turf Lawn & Pest is to give us a try. Call us today at (817) 307-0583 or fill out our Free Estimate form and see how we can help you with all of your Lawn Care & Landscaping needs.